Equities Lower. 10-Yr Bond Yields Down. 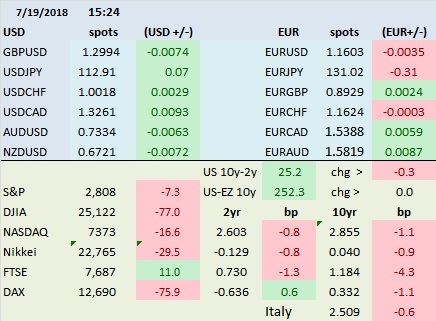 FX: USD UP And EUR Mixed.